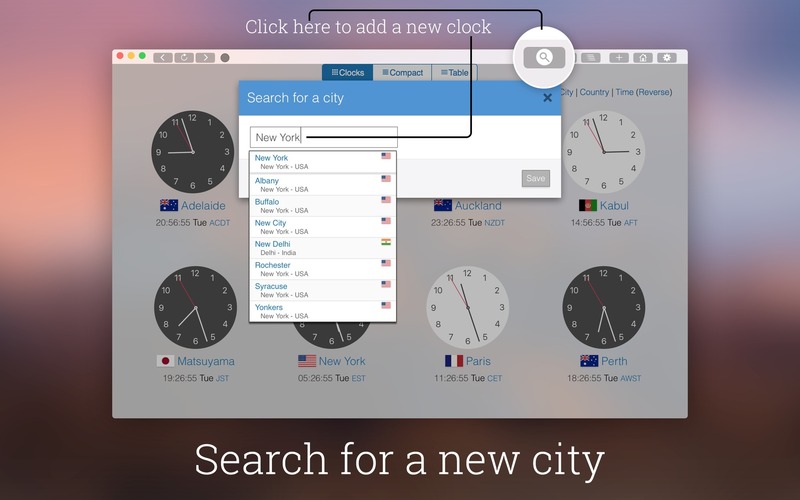 Multiple world clocks in a single window. Is there a better alternative to My World Clock? Is My World Clock really the best app in Productivity category? Will My World Clock work good on macOS 10.13.4? 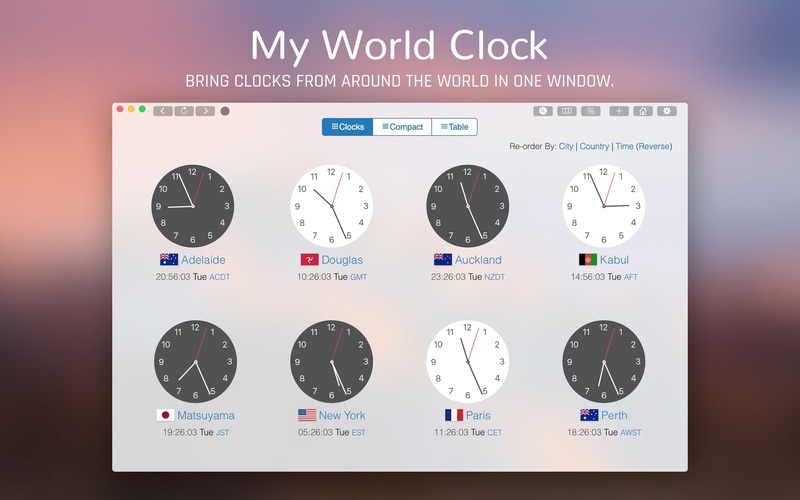 My World Clock is an easy way to see time of different places in the same window. 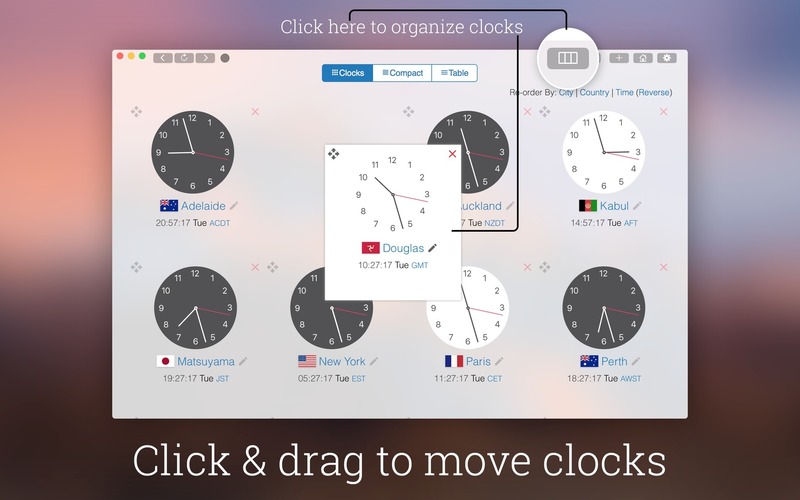 It lets you access time from multiple location in the form of a clock (both analog and digital) on a simple app layout. 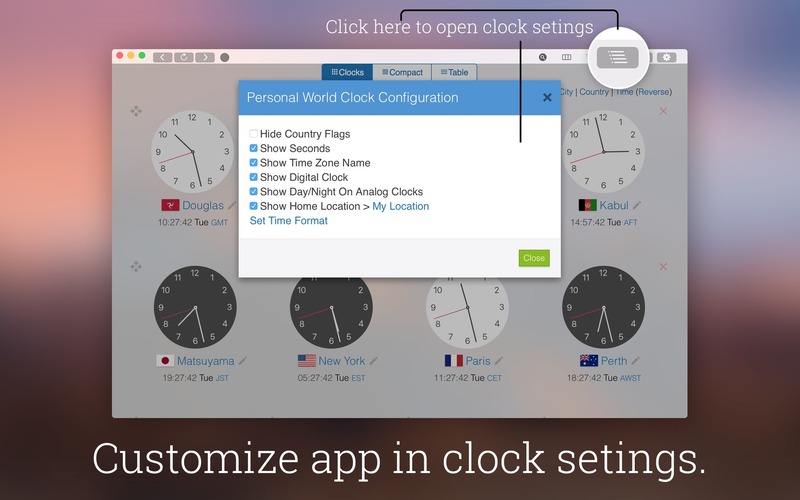 You can resize the app window according to your convenience and all the clocks will be arranged automatically inside the app window, given the space they require. All the location and clocks added in the app will be saved in the app and users can start the app from where they left. 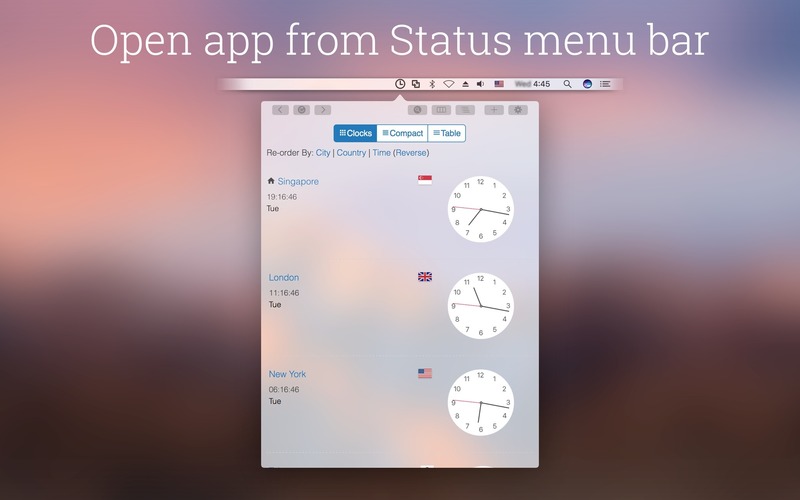 You can open multiple app window and place them on different monitor with multiple clocks. My World Clock needs a review. Be the first to review this app and get the discussion started! My World Clock needs a rating. Be the first to rate this app and get the discussion started! Note: The app requires a working Internet connection. Disclaimer: My World Clock was not affiliated with TimeAndDate, which is, itself, trademark.